An excellent article over at Herescope discusses music in today's culturally relevant church: "Like a bunch of conformist teenagers kowtowing to “peer pressure,” churches have adapted their musical style to whatever is hip in the culture." This has certainly been true even in my lifetime. We sang traditional hymns in the church I grew up in, but after leaving the church for more than a decade, I was very surprised to find that the music in the churches I attended upon returning was radically different from what I was familiar with. I was told that this was a way of "deconstructing" people's preconceived notions about what music "should" be in church. In true postmodern fashion, I began to ponder this. Well, what did I think music "should" be? 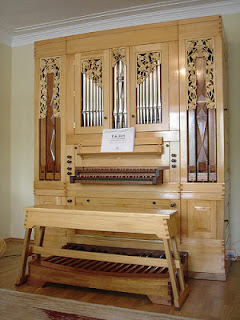 Sad to say, I did not come up with a very postmodern answer: to my mind, church music should clearly be traditional hymns played on a 19th century pipe organ. 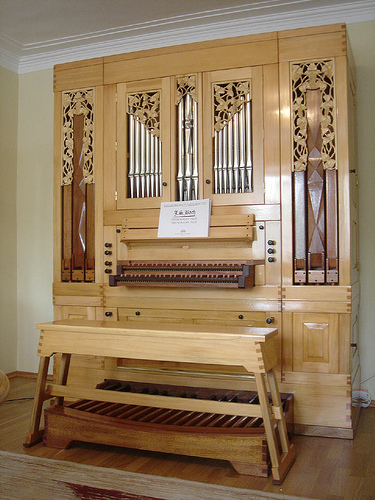 But in the little start-up church where my husband and I were saved, they had neither the budget for any such thing, nor, more importantly, any inclination toward having this kind of music. Instead, we sang short songs with very few words, often repeating verses over and over. Now, when we began attending this church, God had not yet saved me, and so my reaction to this music was simply personal: I didn't like it. But after I was saved, I realized there was a deeper, more troubling reason why I didn't like the music: it was doctrinally vapid. 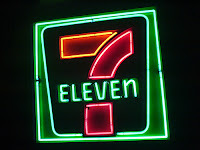 I had one friend who sardonically referred to this music as "7-Eleven songs," as in, 7 words sung 11 times. The first time I heard this (and after I stopped laughing) I remember thinking what an apt description this was for this kind of music. 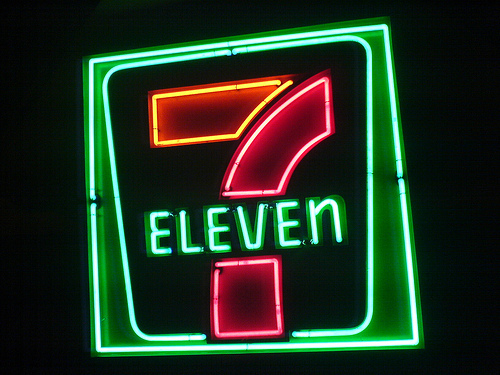 7-Eleven songs for a fast food culture. Perfect. And when I would ask about hymns at our church, I was told that this was what people wanted, they didn't like the tired old hymns of our "parents' church," we had to be culturally relevant, and that after all, worship wasn't about "me." Well, I definitely got that worship wasn't about "me," but then that made me wonder: was God really glorified by these shallow songs devoid of doctrine? Every now and then, our church would play a hymn. My reaction to these lovely old songs would be so immediate, so visceral, and I simply couldn't understand why. I would oftentimes be so overcome from hearing these old hymns that I would weep, and literally be unable to sing! I initially chalked it up to nostalgia, to just remembering growing up and hearing these songs every week. But as time went on, I began to realize how deep the theology was in these hymns. I became obsessed with hymns. Realizing this, one of my new Christian girlfriends gave me a book called Then Sings My Soul, which I absolutely loved and still love to this day. This book catalogs many of the great classic old hymns, telling the story of how each hymn came into existence, what was happening in history at that time, and so on. I began to realize why I loved these old hymns so much. Not simply because the music was lovely - though it was, but chiefly because the lyrics were so rich. Many of these great old hymns would "tell" the amazing story of redemption and God's mercy in just a few short verses. In this one, you have an unpaid debt, sin leaving a stain that cannot be removed, and then - here comes the gospel - God intervening with his plan of salvation: the blood of Jesus, given to remove the stain, and leaving the white purity of righteousness in its place. Glorious!